Oh, plaid. I feel like I could make a different plaid wish list every day of the week. It’s my print of choice all fall and winter long. (For a second, my Monogrammed Gift Guide was turning into a mad for plaid situation and I had to put myself on a plaid product ban.) No matter if it’s a beautiful blackwatch plaid or a trusty tartan print, I’m into it. Can’t get enough! 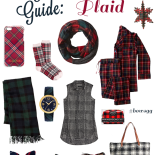 I put together a round-up of gifts that are perfect for any plaid lover on your list. More plaid, please! If you’re looking to splurge, I’m absolutely in love with these flats. I bought them a few months ago as a birthday present to myself, but ended up feeling guilty and returned them. Obviously not together, but this dress and these pumps are so perfect for holiday parties. I have this wrap in two colors and I absolutely love it. My mom has it, too! You really can’t beat the price, either… It’s less than $20! The orange & blue version is perfect for Illini fans, Bears fans, Broncos fans, and Detroit Tigers fans, too! I recently purchased this coat and I’m so in love with it… Coming to a blog post soon! Reminds me of something you’d find at J.Crew, but for much cheaper. The quality is still fab, though! I’m lusting over these PJs, this scarf, and these flats! 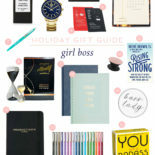 Day 1: Jessica’s Wish List | Day 2: Beauty Buff / Skincare Snob | Day 3: Make it Monogrammed | Day 4: Plaid, Please! 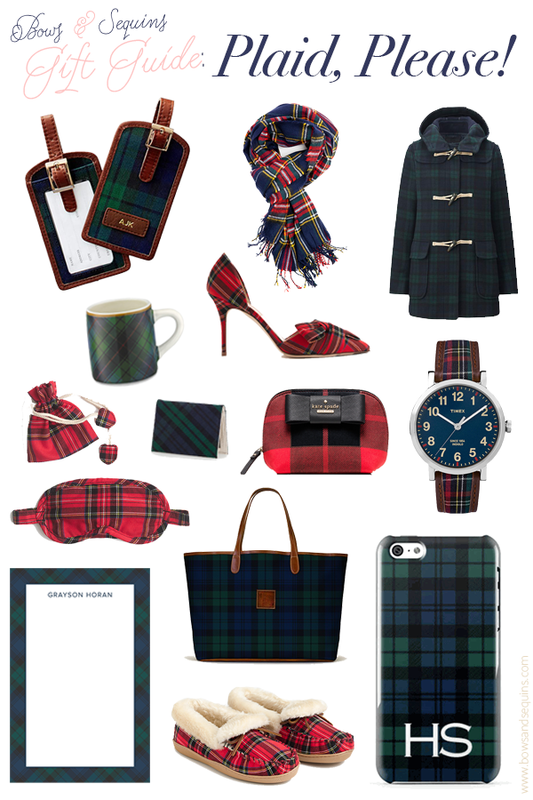 This is the most perfect collection of plaid items – love it for the season, in all it’s variations! I’m all about the plaid! They are perfect for every occasion! Right?! Plaid all day, everyday! love this post! Being a huge fan of plaid myself. Quick question: how did you make this collage? Thanks!